We do enjoy a sightseeing hop on/hop off bus and the expert 'on location' commentary they can provide is worth it so we're not trying to dismiss the great service they offer. (Big Bus Tours is particularly good.) But if you're looking for a more budget way of seeing the sights, or feel more confident exploring independently, then there are some London public transport bus routes which take in quite a few of the big landmarks along the way. An Oyster card or a one-day travelcard makes all buses (and tubes and London trains) a hop on/hop off service. Time needed: 1 hour approx. This is a great, cheap sightseeing route. You want to try and get an upstairs front row seat for the best views and, if possible, sit on the right-hand side for this route. The journey starts in the City of London and within minutes you are at the 'Bank' station area so have the Bank of England on your right, Royal Exchange on your left, and Mansion House straight ahead. Do note, that most of the City of London is closed on weekends. The Bank of England is the second oldest central bank in the world (established 1694). The building's architect was Sir John Soane and the site is spread over three acres. The bank's nickname is the 'Old Lady of Threadneedle Street' because of a 1797 cartoon showing the Prime Minister (William Pitt the Younger) trying to woo the Bank which was shown as an older woman wearing a dress made of banknotes. There is a free Bank of England Museum where you can try to lift a gold bar. The Royal Exchange site has been a trading center since the 1500s but this building only dates back to the 1800s. It reopened in 2001 as a luxury shopping and restaurant complex. There's Gucci, Hermes and Tiffany & Co inside but don't be intimidated as you can just stop for a tea or coffee at the Grand Cafe and enjoy the surroundings. Mansion House is the official residence of the Lord Mayor of London. (That's not the same person who is the Mayor of London who works at City Hall.) The Lord Mayor is the one who gets to have a major parade for their inauguration in November annually called the Lord Mayor's Show. Around 5 minutes further along the route, you reach St Paul's Cathedral. The bus stop announcement is for 'St Paul's Churchyard' but you can't miss the huge building on your right. Shortly after the bus stop, by the traffic lights, do take a quick look to your left to see the Millennium Bridge and across the Thames to Tate Modern. St Paul's Cathedral was designed by Sir Christopher Wren over 300 years ago. It stands 365 feet high and there are 528 steps from the cathedral floor to the Golden Gallery. Even with all the construction that is constantly going on in the City of London - seriously, you'll never get a photo of the skyline without a crane - there are some protected views in London and most relate to St Paul's Cathedral so architects have to plan their new tall office blocks in unusual shapes. If you get stuck in traffic here then do admire the contrasting architectural styles in the area. Do note, the statue in front of the cathedral is not Queen Victoria as most people think but is, in fact, Queen Anne as she was the ruling monarch when St.
After the junction at Ludgate Circus, the bus goes straight on and along Fleet Street. This used to be the home of the national newspapers but they have all moved further east. Do look out for the old Daily Express building on the right as it's a wonderful example of Art Deco architecture in London. You'll also pass the Ye Olde Cheshire Cheese pub on your right which was popular with Dr. Samuel Johnson, Charles Dickens, W.B. Yeats and of course the journalists who used to work on the street. It now serves an excellent pub pie. And look on the left side of the street too to see The Tipperary - London's oldest Irish pub, almost opposite the Cheshire Cheese. When you spot a church on your right (it's St Dunstan's in the West) just before it is a building with large lettering on the front: Sunday Post / People's Friend / People's Journal / Dundee Courier which is supposed to be the site of Sweeney Todd's Barber Shop. Shortly after you reach the Royal Courts of Justice, on your right, which is an incredibly grand Victorian building. Don't forget to do a quick look to your left too to see the Twinings Tea Shop & Museum opposite. The church on your right is St Clement Danes and its church bells play the Oranges and Lemons nursery rhyme at regular times throughout the day; usually, 9 am, 12 pm, 3 pm, 6 pm, 9 pm. As you move towards Aldwych look out on your left for the closed London Underground station with the sign Strand Station. You won't find this on any tube map as it has been closed for many years. It is better known as Aldwych Station and is used as a TV and movie filming location. It can be seen in the Patriot Games, V for Vendetta, Atonement, 28 Days Later and many more. And look on your right for Australia House which was used as Gringotts Wizarding Bank in the Harry Potter movies. The next junction goes past Waterloo Bridge on your left and the bus continues straight ahead on the Strand. Look out for the Savoy Hotel on the left which is set back but you will spot it by the huge topiary cats at the entrance. Looking ahead you should be able to see the top of Nelson's Column as you will reach Trafalgar Square in a few minutes. Once you hear the bus announcement for 'Charing Cross Station' (it's on your left) get ready to look right for Trafalgar Square. You'll see Admiralty Arch straight ahead before the bus turns left onto Whitehall and it's straight down to see 'Big Ben'. Look to the right for Horse Guard's Parade to see the mounted cavalry as this is the official entrance to Buckingham Palace even though the palace is on the other side of St James's Park behind here. Almost opposite on the left-hand side is Banqueting House which is the only remaining building of the once enormous Whitehall Palace. The ceiling has incredible paintings by Rubens and the building is also well-known as Charles I was beheaded on a platform outside. You'll pass 10 Downing Street where the Prime Minister lives but you can't see the famous black door as there are large security gates but you'll know it's on your right when you see the policemen on duty with firearms. Ahead is Parliament Square with the Houses of Parliament and Big Ben to your left, Westminster Abbey to the diagonal right and the Supreme Court opposite the Houses of Parliament. You can't get a great view of Big Ben, unfortunately, but the bus goes around the Square and you do get great views of Westminster Abbey. 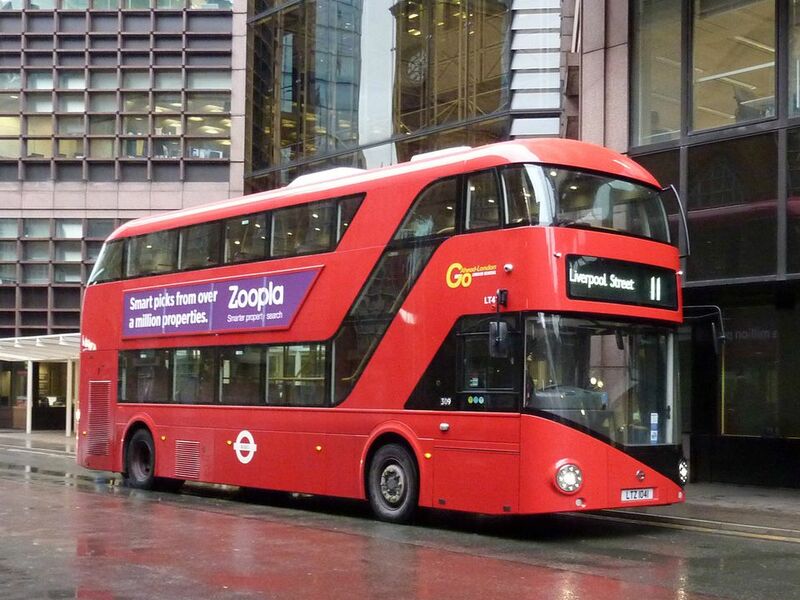 The bus route continues along Victoria Street and you'll pass New Scotland Yard on your right and Westminster Cathedral on your left before reaching Victoria station. This journey takes about an hour and we suggest getting off here although the bus does continue on to Fulham in southwest London. If you stay on you will see the King's Road in Chelsea, which is now an upmarket shopping area but was once the cutting edge of subversive culture with Mary Quant and miniskirts in the 1960s and punks in the 1970s.